AR Cloud, audio-based AR, and other potential directions for Niantic. Augmented reality is the hot new technological venture for video games as seen most clearly by the massive success of Niantic's Pokemon Go. 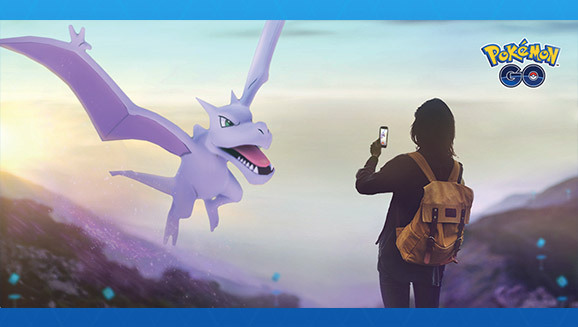 Now, at the annual GamesBeat Summit, Niantic CEO John Hanke reveals what the future of AR could look like for future Niantic AR experiences. Niantic CEO John Hanke sat with sci-fi author Eliot Peper to talk about how sci-fi fiction interacts with technology. When asked by Peper how Niantic was able to leverage technology to making a hit like Pokemon Go, Hanke explained that Pokemon Go's real heart was its social aspects. That public social play might guide Niantic's future gameplay evolution. "We're investing heavily in this concept of AR Cloud," revealed Hanke. With AR Cloud, Niantic can "enable people to share a high-precision, high-fidelity augmented reality view together in public... It draws on our mapping routes and I'm excited about the kind of gameplay experiences [AR Cloud] is gonna enable in the future," said Hanke. Like a lot of new technologies, there's not a clear cut explanation of what AR Cloud exactly is, other than the fact that AR companies are very into it. But cursory searches explain that with AR Cloud technologies, persistent AR experiences can be tied to geo-locations. Meaning Niantic could set up public areas with a shared AR experience that groups of people can all enjoy together, interacting with the same AR experience. We know Niantic loves these social group events. The Pokemon Go fest drew a massive crowd of fans, until technical issues led to the company settling a lawsuit with disgruntled attendees. But the social aspect of Niantic's games are still core to their identities and Niantic looks to be doubling down on them. Only bigger and maybe more integrated into AR. However, Hanke also revealed that while AR companies are heavily focused on visual AR, things like visual fidelity, the future of AR might not rely on the visual at all. "Everybody is almost exclusively on the visualization piece," says Hanke. "As a gamer I like and value fidelity in graphics but I think there's a misunderstanding about how that's all there is to it for AR." In fact Hanke cites the movie "Her" by Spike Jonze as a potential future for AR. "It might be the audio based version of AR that's the most widely adopted," explained Hank saying the technology is already there for it. "What's missing is the cloud-based smarts that make the thing in your ear hyper intelligent." So will we see more audio-based AR experiences from Niantic? Maybe in the company's upcoming Harry Potter AR game? We'll see as the future of AR is as up in the air as the cloud AR companies seem to be looking towards.